Designed as an essential component to the dense urban center, the Linny Pacillo Parking Garage, along with the adjoining F Street Connectivity, establishes a strong visual identity that is contextual as well as individual to its surroundings. 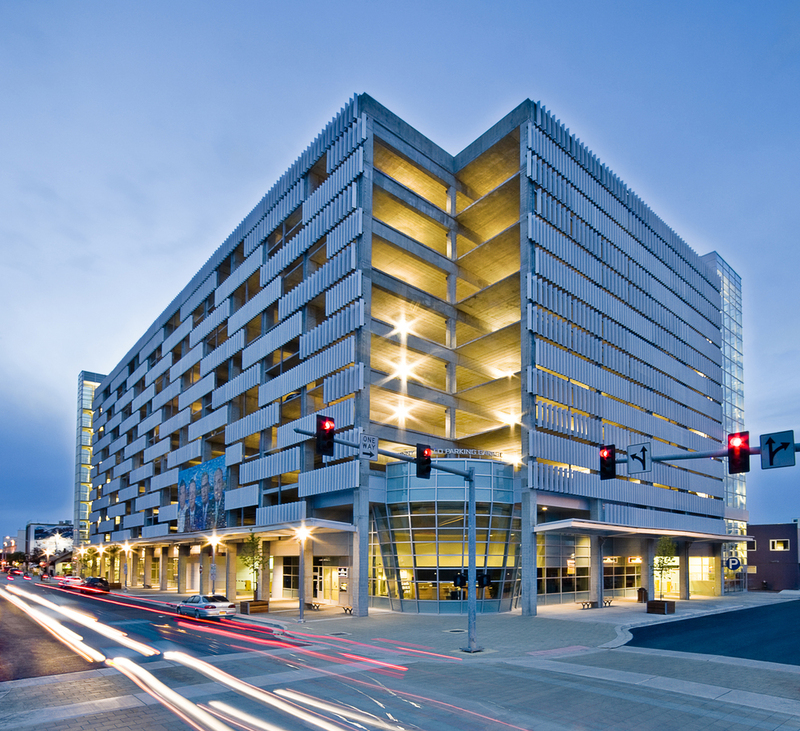 This property functions as the featured parking for access to the Robert B. Atwood Building, Dena’ina Civic and Convention Center, Alaska Center for the Performing Arts, Town Square Park and William A. Egan Civic and Convention Center, bringing grace and energy to the area. 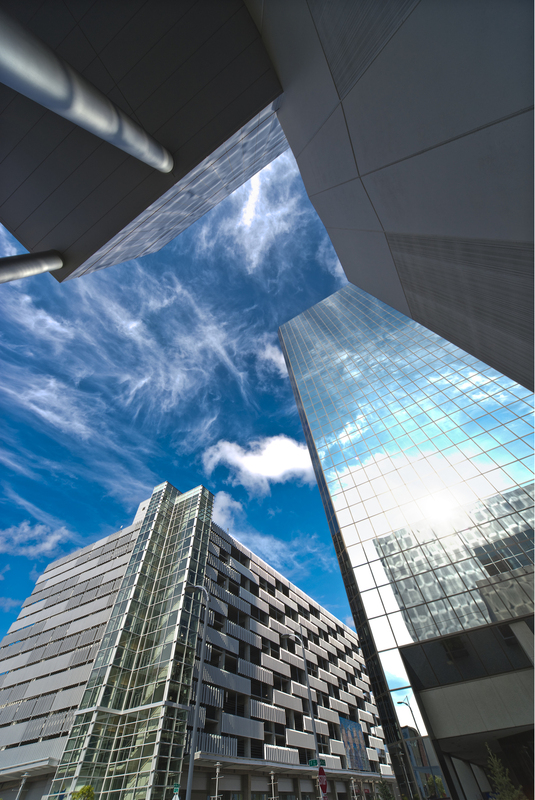 While meeting its parking objectives, the design of the structure, juxtaposed to its pedestrian companion, enlivens the street scene with 830 parking spaces on nine levels, retail space at street level and well-lit glass tower stairwells. 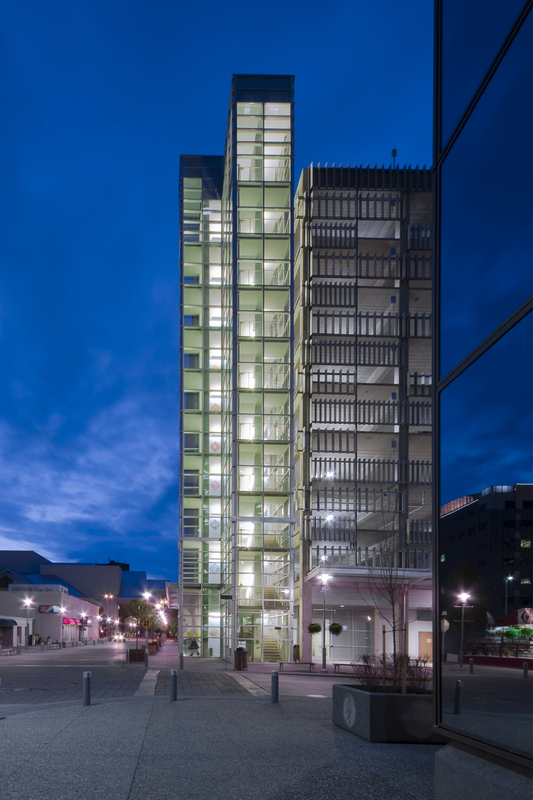 Each side of the building allows for natural ventilation with aluminum cladding designed to “veil” the cabling in a drape effect, and interior lighting, set into the post-tensioned concrete slabs, to create a pattern when viewed from the gathering darkness outside. The stairwell is like a beacon with high-efficiency glass for transparency and HVAC and security cameras for comfort and safety.